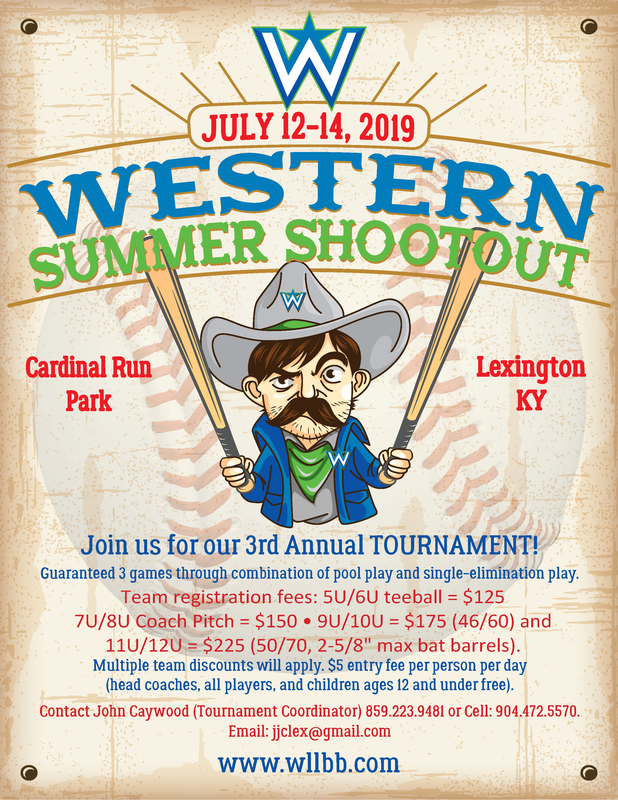 Each summer, our league hosts a youth baseball tournament at Cardinal Run Park, the Western Summer Shootout. In 2018, a total of 54 teams from Lexington and all around Kentucky participated in the tournament. Proceeds from the Shootout are used to improve park conditions and overall experiences of our players.